This wonderful Old Mill two bedroom cottage “Paradise Cove” is conveniently located less than one mile from downtown Pigeon Forge. Tastefully decorated with a modern charm, the cottage features a full kitchen, living room with a stacked stone gas fireplace and two full bedrooms. This cottage has an attached garage making it perfect for the car or motorcycle enthusiast. Just a minutes walk to the pool and hot tub located within the resort. Don’t feel like fighting traffic? Just walk a couple blocks to the trolley stop and downtown Pigeon Forge. A covered front porch makes the evening melt away after a long day exploring this beautiful area. It was our first time here and we couldn’t have been happier with this condo!! It was such a nice surprise that it looked exactly like the pictures and was perfect for our family of four. It was very clean and lovely and I would definitely stay here again! After long days at Dollywood we really looked forward to going back to the condo and relaxing because it was so peaceful. Great location as well and would definitely recommend this lovely place!! Loved this condo, quiet, peaceful weekend. Close to the parkway. Close to shopping and everything we expected plus more. Will absolutely stay again. So nice to have a garage to pull into. Gas fireplace, washer dryer(even though we did not need, could not ask for more. Very clean, and hardwood floors, loved it. We were very pleased with the condo from the beginning. It held true to it’s description and photos on the website. I would recommend their services to anyone looking for privacy, and if you are tired of staying in hotels and motels and dealing with hallways and elevators this is the way to go. We’ve had family vacations in the area several times in the past few years and this was the best experience we’ve had with our accomodations. Anyone who chooses to stay in one of these condos should be happy with every aspect of the experience. Hello, The rental was clean & beautiful! The decorative soaps, laundry det, and extra toilet tissue was a nice bonus. The location is convenient to everything and yet out of the main traffic. We left a DVD in the player and the owner offered to mail it. Very nice people, we enjoyed our stay! We loved this house! It was the perfect place for our trip. We brought the parents down and the fact that there were no steps was great. Everything was perfect! Thank you for such a nice weekend away. We can’t say enough about out recent stay (July 2013) at Paradise Cove. Location was perfect, condo was beautiful and clean, plenty of room for our family of five, great pool, location, etc. We plan on returning! We loved our stay at Paradise Cove. The condo was very clean,beautifully furnished and the internet discription was very accurate.Even though you are less than one mile from the Parkway it is very quiet and in a neighborhood setting. Having the two car garage was a plus especially for packing or unpacking the car if it is raining. Dee in the office is great to work with and was able to answer any questions I had. 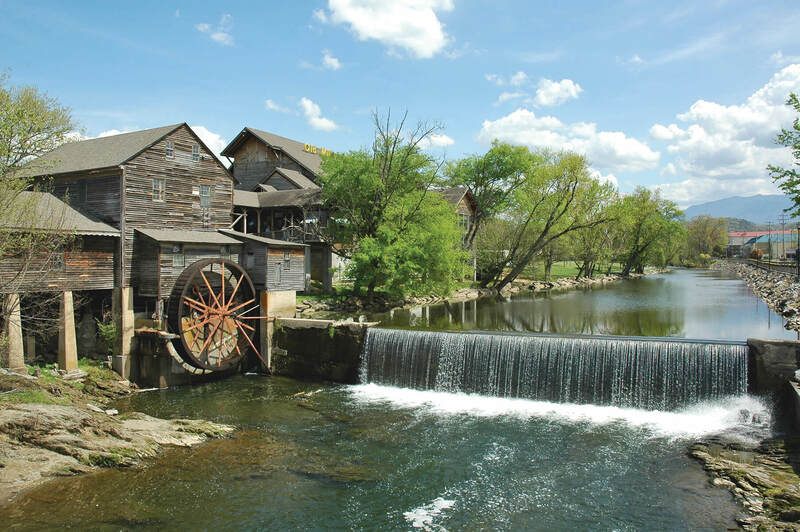 We will be contacting Old Mill Lodging in the future when we return. Very clean quite place, just absolutely loved this place, the kids had so much fun with the open living and dining area. I greatly appreciate the time and effort that is taken in a place that is so clean and organized. We hope to stay here again on our return. Owner/management very easy to communicate with. In our 30 plus years of attending the Shades of the Past Automotive event, we have used many accomodations, the Old Mill Condo was absolutely the best we have rented, excellent neighbor hood, facility was extremely clean, the two car garage was a big hit for my son and i, we were able to park our vehicles inside at night, we will be sure to use the facility in the future, keep up the good work! We absolutely loved our stay at Paradise Cove! We liked the ease of handling everything online and not having to drop off keys or information at an office. The door code made it easy for us to check in and check out on our own time. The house was clean, tastefully decorated, and well-supplied! Plus, the location was convenient to all of the places we wanted to visit! We would definitely consider staying at Paradise Cove and/or at your other locations on our next visit to Pigeon Forge! We have recommended this rental and Old Mill Lodging to several of our friends and family already! The service we received was top of the line. everyone was very friendly and helpful and responsive. the cottage we stayed in (307) was very large and spacious and the furnishings were above and beyond what we were expecting. and the best part was everything was very clean and neat and it felt almost like being at home – away from home. we had all of the amenities we needed and were accustomed to and almost hated to leave to go anywhere. we really didn’t need the second bedroom or bathroom but if there was another couple it would have been perfect. there was nothing we didn’t like about the cottage and we’ve already told several friends about it and the next time we plan to be in the area we will definitely be staying at Old Mill Lodging. I recommend this property to everyone. It was CLEAN AND GORGEOUS! My family and I could not have been more pleased and comfortable. It was located centrally to all the attractions. WE LOVED IT!! Thanks for making the New Year a memorable one for our family. As soon as we opened the front door, we were pleasantly surprised by the neatness and how clean and well kept the Condo was. We were also impressed with the large space and with the decor. It felt like home and we immediately remarked that we would be back again. The location, Cottage 307, was close to all the attractions. We will definitely recommend Old Mill Lodging to our friends and family.